Renowned for her decorative porcelain tableware, Mia Sarosi produces contemporary crafted pieces that are thrown and finished by hand. 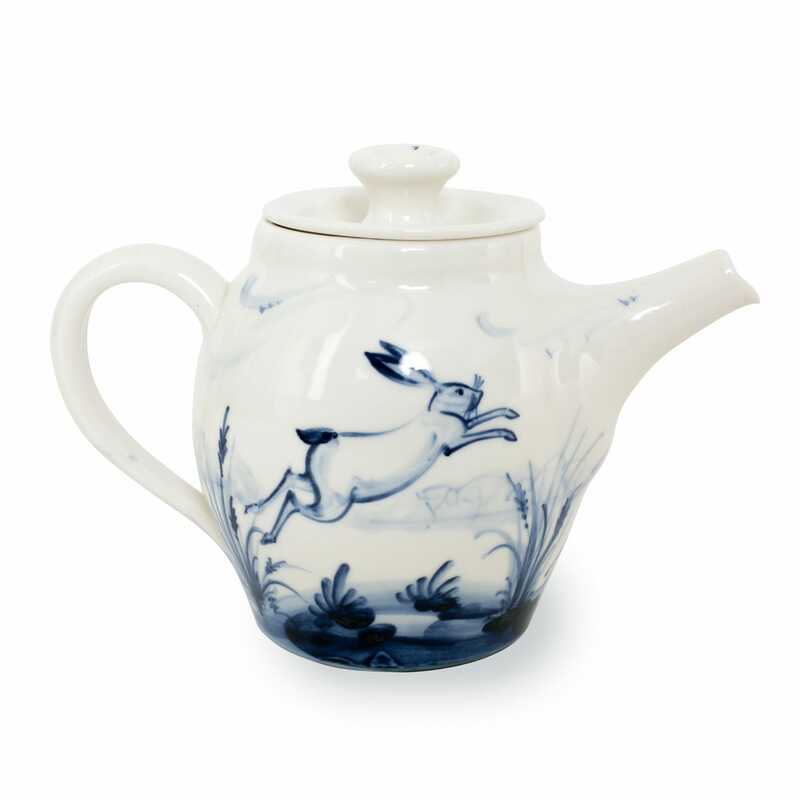 Featuring a delicate watercolour motif of British nature, the Hares teapot is a one-off with every brush mark hand painted by the designer. Renowned for her decorative porcelain tableware, Mia Sarosi produces contemporary crafted home accessories that are thrown and finished by hand. Working with ceramics since 1991, Mia began her career as an artist painting Delftware reproductions before learning the art of making ceramics by spending time at various potteries. In 2001, she turned her full attention to working in porcelain following a Queen Elizabeth Scholarship award (a branch of the Royal Warrant Holders) and has since garnered international acclaim. 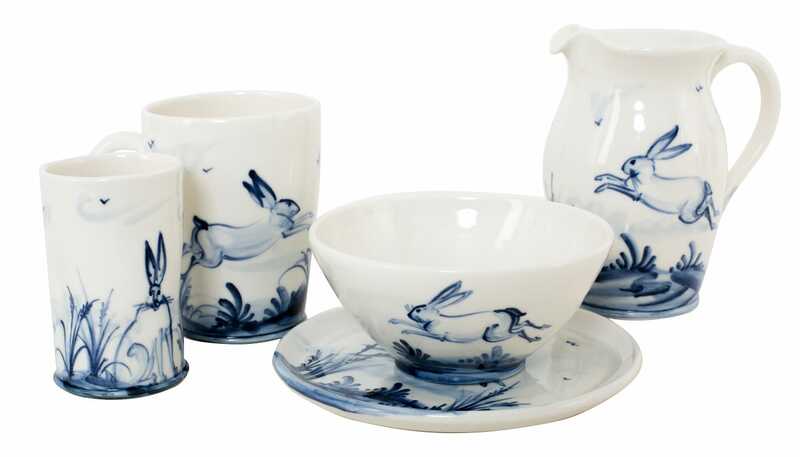 One of her most notable collections is her Octopus Tableware decorated with a hand painted design of swirling tentacles. Each piece is a one-off with every brush mark hand-painted by Mia.